This is a hit I never saw coming. Steven Tyler officially announced that he’s leaving American Idol, saying, “I strayed from my first love, Aerosmith, and I’m back.” It’s rumored that Jennifer Lopez is on her way out also, which is mostly attributed to her recent career resurgence. I can’t help but wonder if his announcement is a fancy way of saying, “they didn’t ask me back,” but I’ll squash my internal cynic for a moment and make an even more cynical comment: His exit is completely irrelevant. His “everyone-is-wonderful” attitude didn’t add much to the show, and it only served to hurt his rock-star brand. So welcome back to the real world, Steven. We missed you over here. Phillip Phillips Throws Away Steven Tyler’s Scarf — NO!!!!! Here at The Dishmaster, I try to abide by the long-standing principle, “If you don’t have anything nice to say, then don’t say anything at all.” But today I will make an exception for Mr. Phillip Phillips, who quite possibly made the worst move in American Idol history. Allow me to explain. After Phillip Phillips’ performance, the judges commented on his grey-on-grey attire. Steven Tyler attempted to help him out by generously giving him his own scarf. So what did Phillips do with this valued possession? He threw it back into the audience to a group of screaming chicks! Excuse me!??? Doesn’t your father own a pawn shop!!!! The scarf belonged to Steven Tyler! He’s only one of the biggest legends in the history of music. He should have sold it and pocketed the money!! 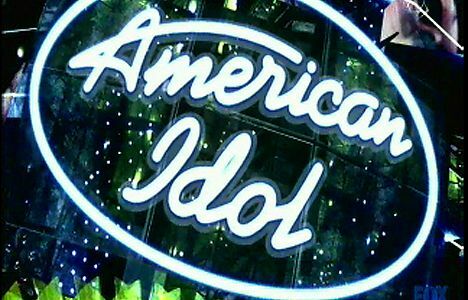 Who knows how long this American Idol fame will last? Author The DishmasterPosted on March 21, 2012 October 23, 2018 Categories General, MusicTags American Idol, Phillip Phillips, Steven Tyler5 Comments on Phillip Phillips Throws Away Steven Tyler’s Scarf — NO!!!!! Either American Idol is depriving their contestants of oxygen, or the producers have a knack for choosing very dramatic people. Can someone please explain why every contestant seems mentally unstable? If you can’t hold it together during this phase of the competition, how exactly do you plan to be a star? One contestant actually left the rehearsal to call his mother from a hotel, and the conversation included at least fifty “I love yous.” Perhaps the contestants aren’t eating? Maybe the room is excessively hot? But if that’s true, then why do the judges look perfectly healthy? And did I mention that Jennifer Lopez, Steven Tyler, and Randy Jackson have the worst taste in the history of the show? These singers are horrific. “Hey, I’m from Boston! I love water . . . . Well I sat at La Reve all week and I just thought, I’ve watched the show all week and I’m a water guy and . . . I just wanted a good excuse to take my clothes off in front of J.Lo.” Steven Tyler on why he went for a naked swim in the hotel pool, only to be discovered by a very surprised Jennifer Lopez. Steven Tyler Struggles With the National Anthem — Is the Delay to Blame? I don’t know much about singing (except for when I’m in the shower, of course). But I fortunately hang out with a group of musicians that answer all of my annoying music-related questions. So when Steven Tyler received a substantial amount of criticism for butchering the national anthem, I immediately asked my posse why it’s so hard to sing. They explained that there’s a delay in the stadium so the singer can’t properly hear themselves. And there you have it. Can we back off Steven Tyler now? He’s only one of the best front-mans in the history of music. Listen below. Author The DishmasterPosted on January 24, 2012 January 23, 2012 Categories GeneralTags National Anthem, Steven TylerLeave a comment on Steven Tyler Struggles With the National Anthem — Is the Delay to Blame? Before I launch into my tirade about Haley Reinhart’s abysmal performance of Alanis Morissette’s ‘You Outta Know,’ I’d like to profess that I blame this entirely on the judges, who picked the song. Haley has an extremely sweet persona, and she simply cannot pull-off the angry chick thing. I might be biased, though. I confess that I’ve personally sung this song in my car approximately 5,000 times, and I scream especially loud when I hear the lyric, “and every time I scratch my nails down someone else’s back I hope you feel it.” Perhaps Haley is a little too young to fully understand what it means to ask a man if he’s thinking of her when he “fu*ks” another chick. Give it a few years and a few terrible guys, and then ask her to perform the song. As for the horrific judges, as expected, they said nothing negative. How many days until Simon Cowell is on the air again? Watch below. If I cared about this horrible show anymore, I’d say this is the worst upset in American Idol history. But since I love pointing fingers, I’d like to take this opportunity to point my fingers directly at these terrible judges. If you watched the show last night, you might have noticed that the judges complimented every single person that performed. You know what happens when you don’t insult anyone? America has absolutely no guide — and it becomes a crapshoot. Actually — they did insult someone. They insulted their best singer — which was Pia Toscano, and now Pia Toscano is packing her bags. Specifically, they said she lacked performance quality. Even though that might have been true last night, they also neglected to give every other performer the same criticism (in addition to other, much deserved criticism). You cannot sit back on your throne complimenting terrible singers and expect America to get it right. Believe it or not, Simon Cowell’s criticism affected the votes, and that effect is missing on this season’s show. So good job guys. You have no one to blame but yourself. American Idol is absolutely unwatchable this season. The judges did not have one negative comment the entire show. How is that possible? Is the entire group going to have a successful music career? Are they already perfect? I’ve never missed Simon Cowell so much. He used to comment on issues outside the performances also, which these judges don’t do. Remember when Simon told Carly Smithson that she “needed to have a talk with the person dressing her at the moment — because she doesn’t look like a star.” Or how about when he told David Cook that his personality seemed “boring.” Is someone planning to tell Pia Toscano that unless she gets more of a personality, she’ll never make it in the business? It’s not just about voice, and even if it were, the judges would still be completely wrong. I’d point out every terrible performer on tonight’s show, but that would just be negative. And here at The Dishmaster I try to be positive. I think it’s safe to say that Jacob Lusk should start to pack his bags. In case you missed his performance on American Idol tonight, I’ll educate you on his major misstep. In the video before his song, Jacob explained why he chose to sing Man in the Mirror, and he said, “if I end up in the bottom three it won’t be because I sang the song bad . . . it will be because everybody in America wasn’t ready to look at themselves in the mirror.” No — I’m not kidding. He actually said that. I’m sure I don’t need to articulate why this is ridiculous, but I’ll do it anyways in case Jacob is reading this. Jacob will go home tomorrow, not because I didn’t want to look in the mirror (in fact, I do that all the time). He’ll go home because he butchered a Michael Jackson song. I’d also like to add that Simon Cowell would never have let Jacob get away with that video. He would have mentioned it during his critique. This show is dead without him. Watch Jacob’s performance below. Having duets at the American Country Music Awards was great in theory, and rough in execution. Steven Tyler and Carrie Underwood were the only two artists to get it right. Tyler entered the stage singing Underwood’s Undo It, and Carrie Underwood later sang Tyler’s Walk This Way. This idea of artists crossing genres should have been consistent with each duet, but the producers missed the mark. Instead, you had Rihanna singing California King Bed with Sugarland‘s Jennifer Nettles, but Jennifer Nettles didn’t sing a song by Rihanna. To further confuse the theme, Brad Paisley sang with Alabama, who are being labeled in the press as “rockers,” even though they are both clearly country music artists. That’s not exactly crossing genres. The ACM producers should call American Idol producer Nigel Lythgoe to take some advice about executing performance themes. Watch Underwood and Tyler below.